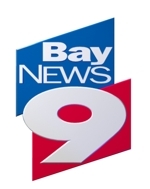 Yet another Bay News 9 appearance! I just love those guys! Today we talked about rental prices rising in Downtown Tampa and Downtown St. Pete and whether it is less expensive to buy or rent right now. Check it out!